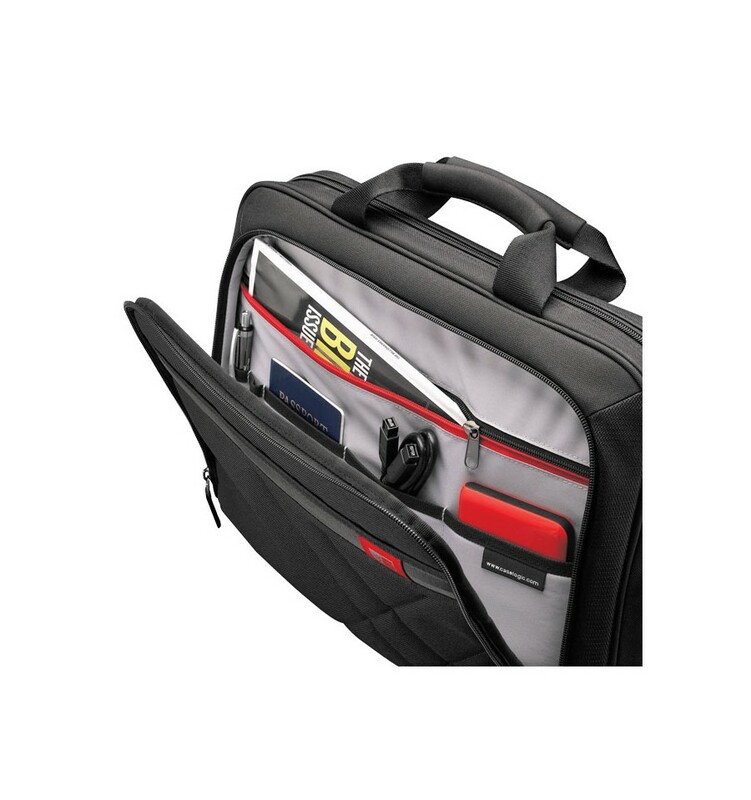 17" Laptop and Tablet Case. 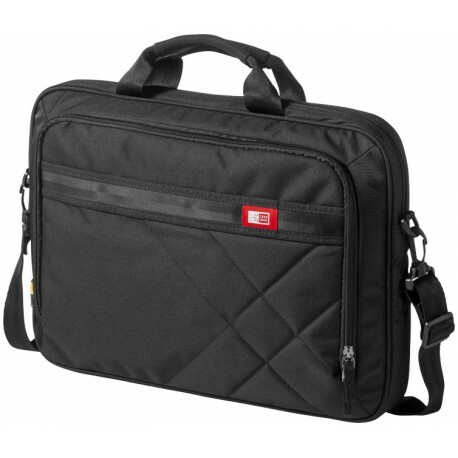 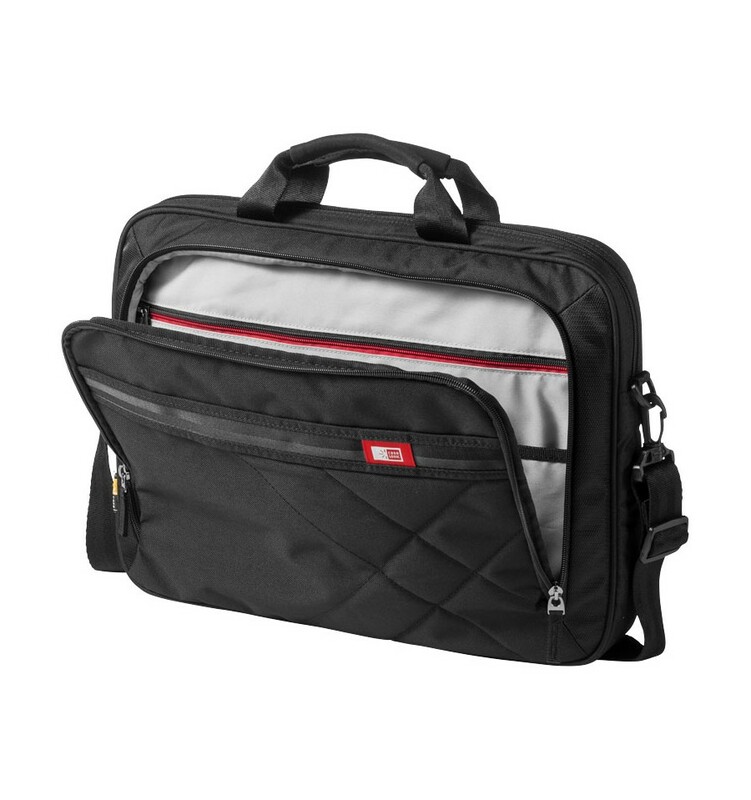 This asymmetrically quilted case with dedicated laptop compartment sized to fit laptops with up to a 15.6" display. 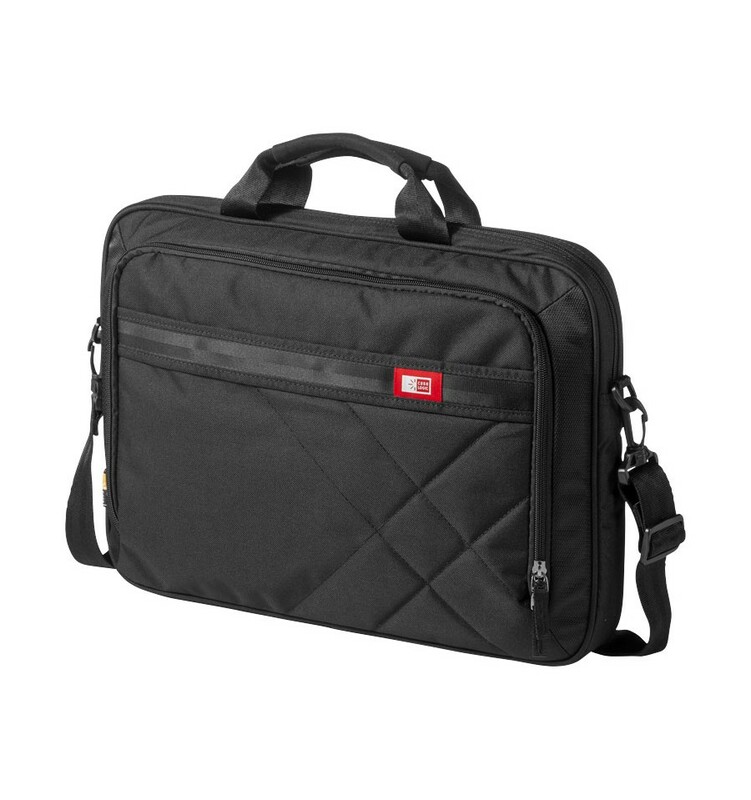 Nylex-lined, padded pocket protects up to a 10.1 inch tablet. 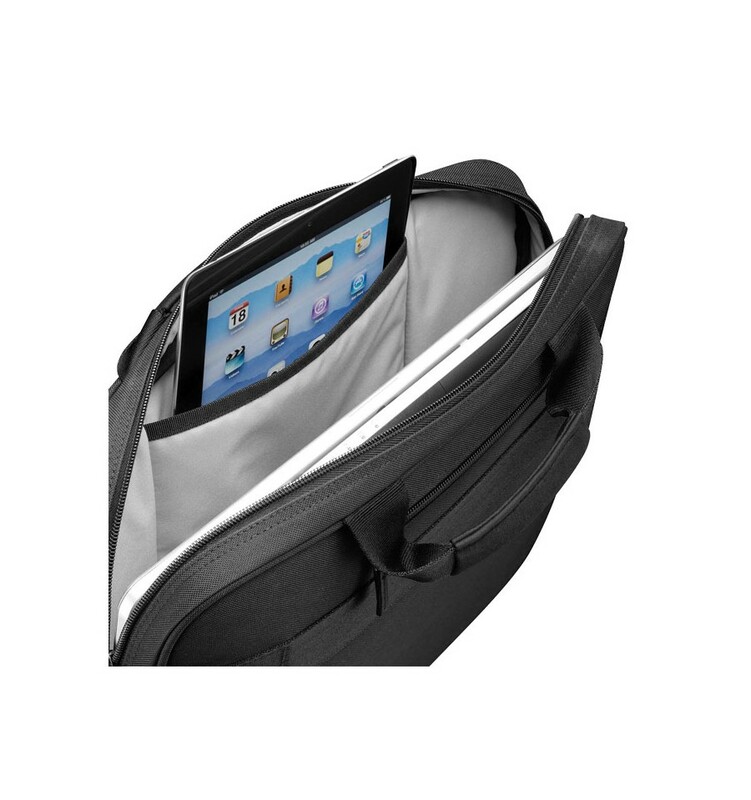 Organizer panel inside the front pocket stores your cell phone, iPod® and business essentials while also allowing plenty of space for power cords. 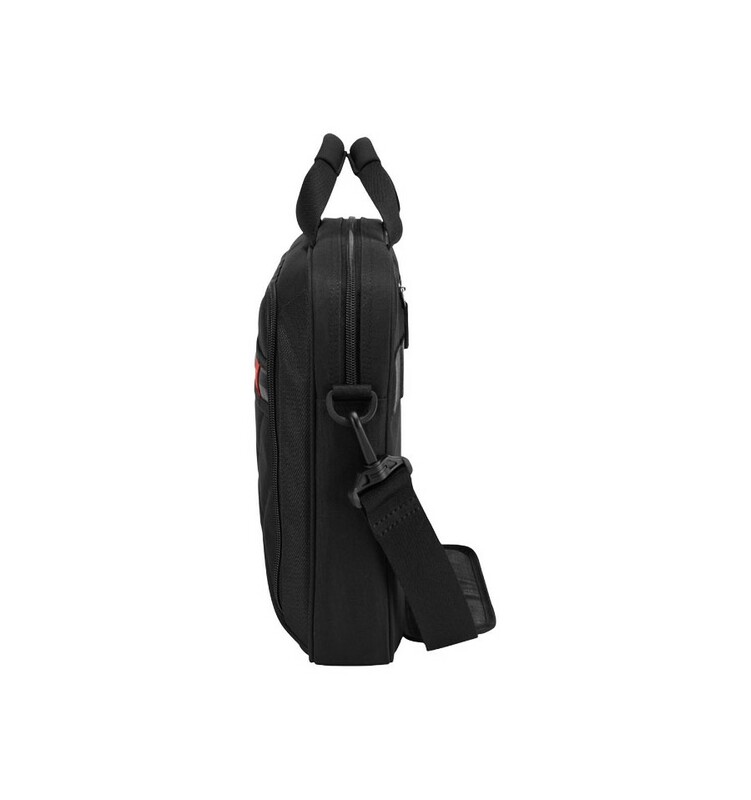 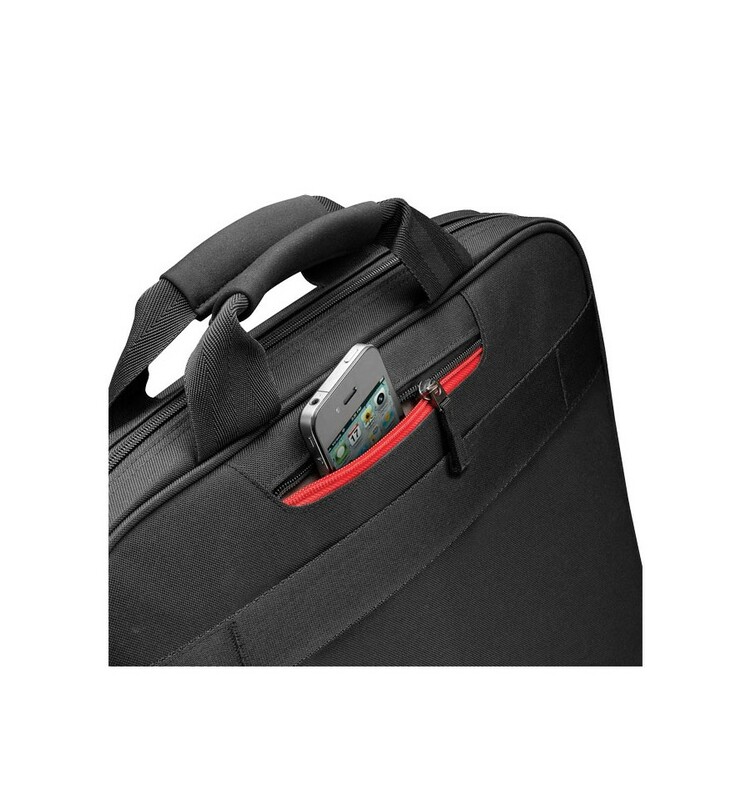 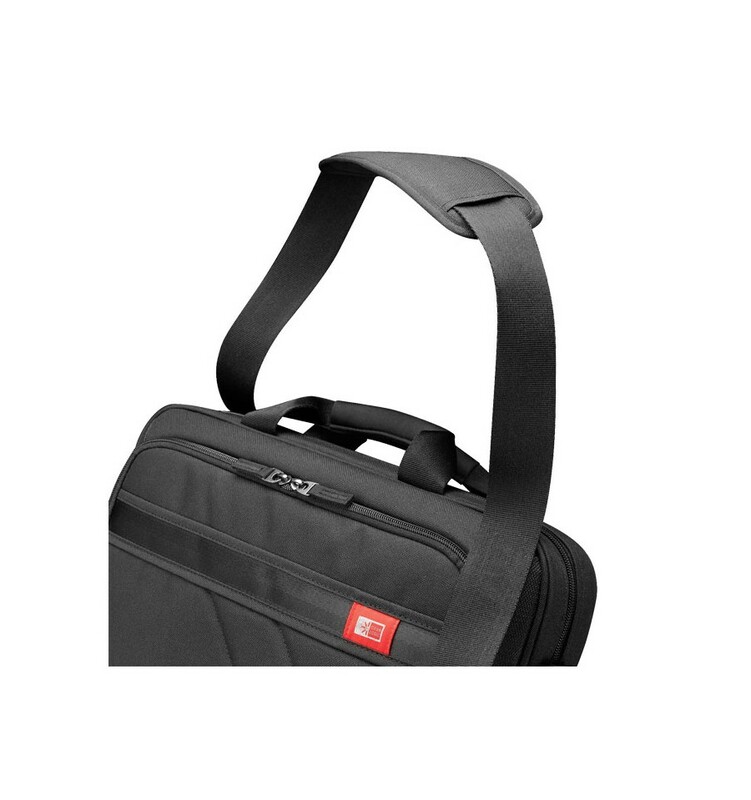 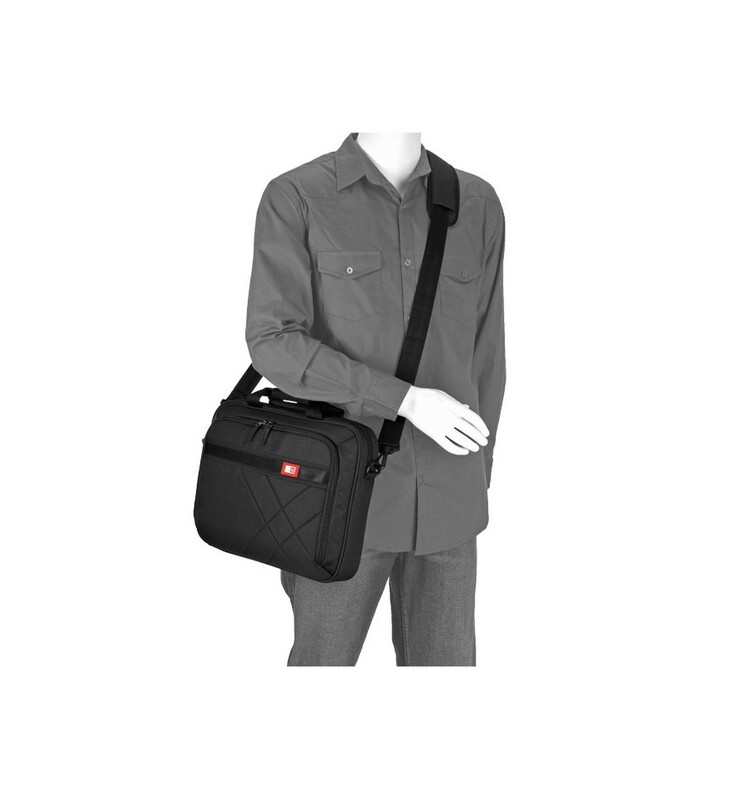 Neoprene-padded carry handles and a removable non-slip shoulder strap provide comfortable carrying options. 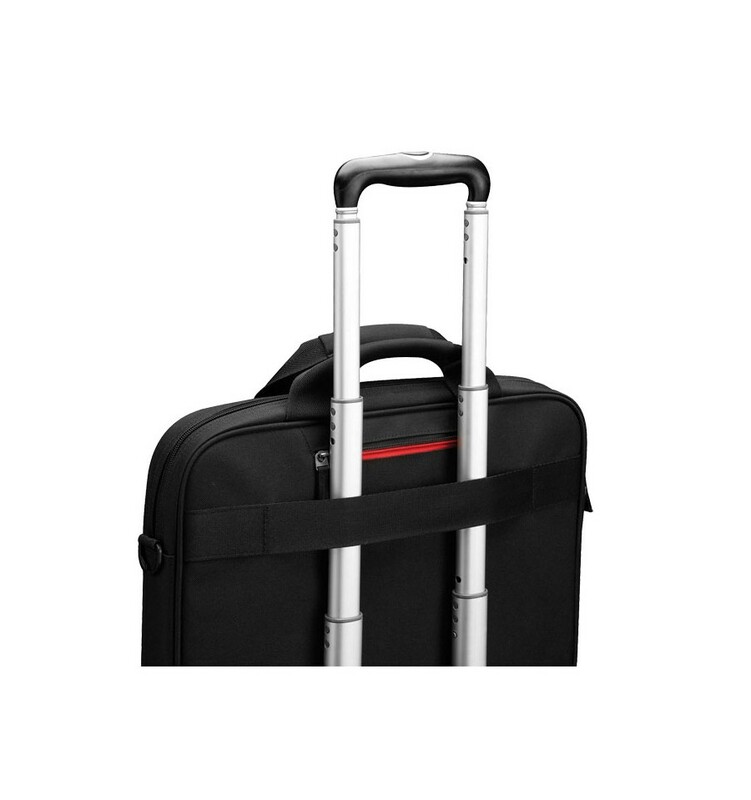 Pass through along the back panel easily slips over the handle of rolling luggage.